Receive 20% OFF your entire purchase at the Dream of Tibet. Not valid in combination with any other coupons. Limit one per customer per transaction. 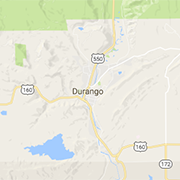 360Durango.com is not liable for incorrect information.